Just when I thought the sunny 30 degree weather meant Spring was finally on the horizon, Mother Nature decided to show us who is boss. We woke up to 4-inches of snow yesterday and it was just a kick in the stomach to have to deal with that again. But I keep telling myself soon, very sooooooooon it will be sunny, warm and spring will have sprung. That’s why I am all about everything pastel right now. I told you guys I will move away from lemons at some point (lemon haters celebrate!!). These baked carrot cake donuts are a far cry from lemons but they are spring perfect too! 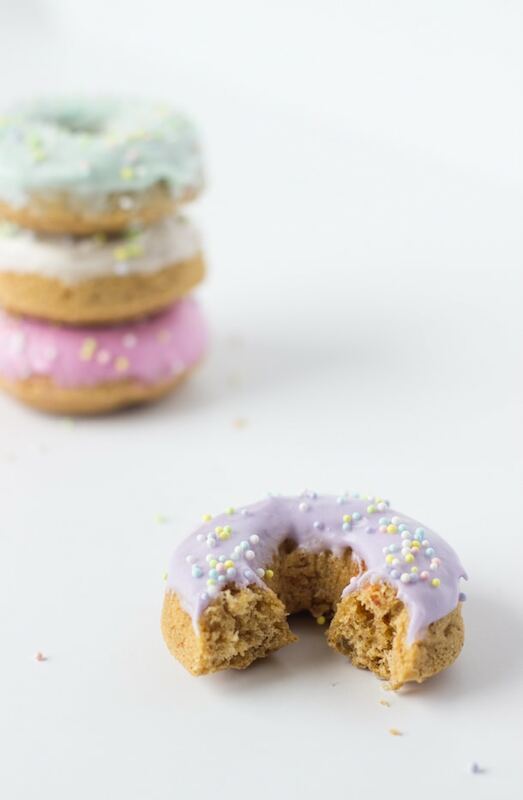 Easter is just a few weeks away and everyone is looking forward to enjoying the classic carrot cake but why not start your day with carrot cake donuts? We know I have a thing for baked donuts (aka breakfast cakes) and since I acquired this KitchenAid mini donut pan, I’ve been enjoying donuts in cute minute sizes. Seriously goes well with a cup of coffee on any day. To make these baked carrot cake donuts, I started with my favorite carrot cake cupcake recipe and scaled it down to make mini donuts. After testing the recipe with gluten free flour, I took out the oil but kept all the spices that make carrot cake special. With a dash of cloves, nutmeg, ginger and cinnamon, these carrot cake donuts are moist, sweet and topped with a traditional cream cheese icing. Icing that is beautifully colored to suit the season. 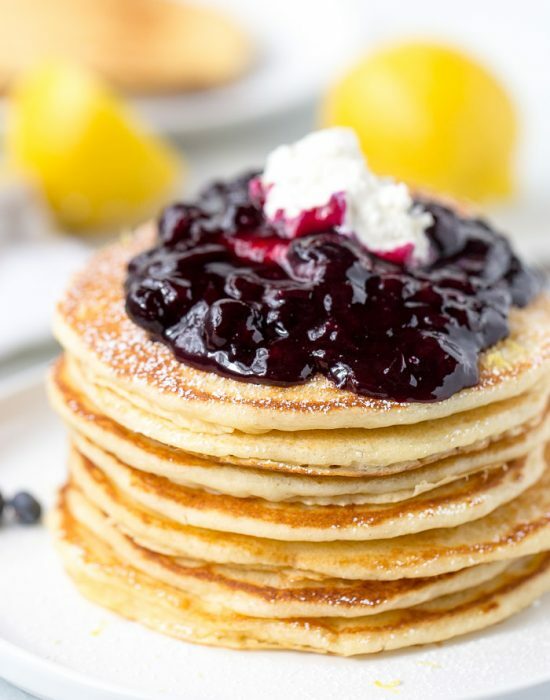 Tell me you don’t want to try these this week AND for easter brunch in two weeks. Preheat oven to 350 degrees F. Coat a mini donut pan with baking spray. In a medium bowl, whisk together the flour, baking powder, cinnamon, ginger, salt, nutmeg and cloves. In a small bowl, whisk together the sugar, egg and vanilla extract. Add in the buttermilk and melted butter. Pour the wet ingredients into the dry in one addition and mix to combine. Fold in the grated carrots and walnuts. Transfer batter into a pastry bag (or ziplock bag) and fill the prepared donut pans. Fill each about 2/3 full. Bake donuts for 6-7 minutes or until a toothpick comes out clean. Let cool in pan for 1 minute before turning out onto a cooling rack. To make frosting: whip cream cheese until smooth. Add powdered sugar and 2 tablespoon milk. Mix until combined. 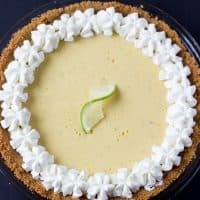 For a thinner consistency, keep adding milk, one tablespoon at a time, until frosting is pourable. Ice cooled donuts with icing. Let icing set, about 20 minutes, before enjoying. 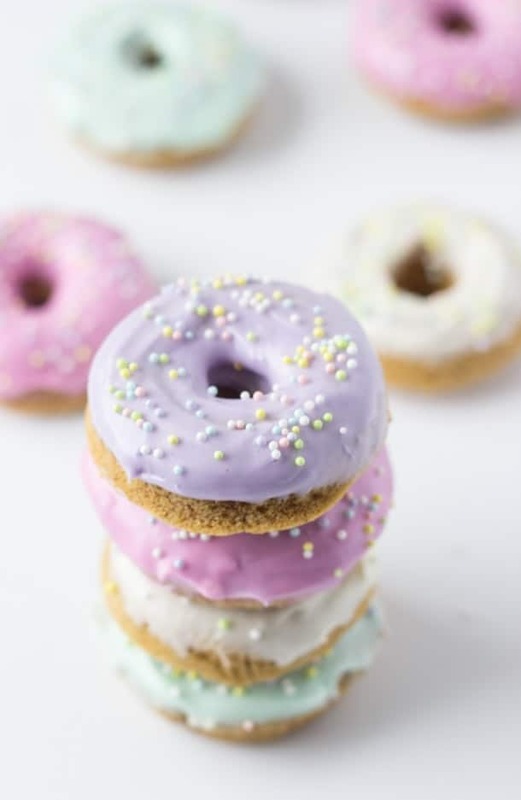 Love the shades of pastels on these donuts. So eastery- Is that even a word? Snow here too this weekend. Just stop it all ready! I’m done! GAH. I need lots of pastel colors to make me think of Spring. 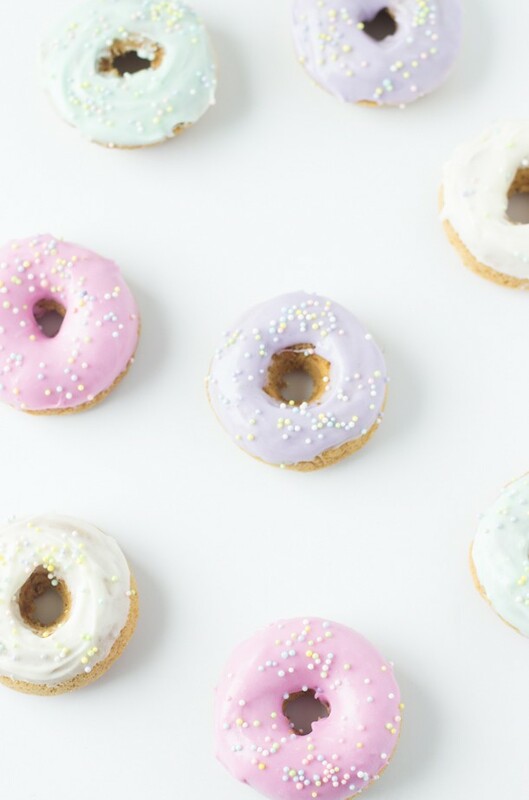 These donuts = gorgeous! Perfect for Easter! I know!! It needs to stop already. Z, I love these doughnuts!!! 4-inches of snow yesterday?!!!! WHAT?!!! Dude, so sorry to hear that. . I think that means you can have at least 3 more doughnuts!!!!! LOVE these! so pretty! and love that they are GF! Ugh we got more snow too, I am dreaming of spring and these donuts! Booooo! we need to be done already. Yum. Yum. and Yum. So sorry about the snow my dear. We’re in a heat wave of 90s and it’s crazy hot! I need one (or five) of these donuts to survive. SO SO CUTE!! 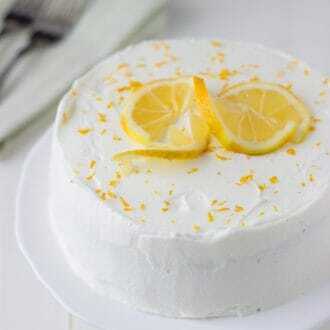 You’ll never hear me complain about too much lemon, but carrot cake is always welcome, too! These look so light and fluffy, and the frosting is so pretty! Sorry to hear you got snow again, but hopefully this is the last one before spring! 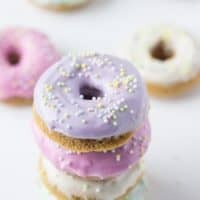 These donuts are beautiful, love pastel colors! Pinned! More snow?! That’s just craziness. It’ll all be over soon enough though. These donuts are pretty, Zainab! The pastel icing is getting me excited for spring! Soon enough indeed! Thanks Jen! I’m sorry you got more snow – yuck! Spring seems to have mostly sprung around here. In fact one meteorologist guaranteed we would have no more measurable snow. Sounds good to me! So do these doughnuts! I’ll take carrot cake in any form. Now if only our meteorologist were that useful, I will be happy!! These are the cutest lil’ doughnuts I ever did see. Now can I please have a dozen for snacktime? Ugh gotta love that snow. I’m ready for spring to bring it asap! The pastels are absolutely gorgeous! And the texture looks amazing, the perfect blend of cakey and soft and fluffy. Carrot cake for the win! Pinned! They really are the perfect blend!! Carrot cake is actually one of my favorite cakes! Never tried it in a doughnut form, but it looks amazing! 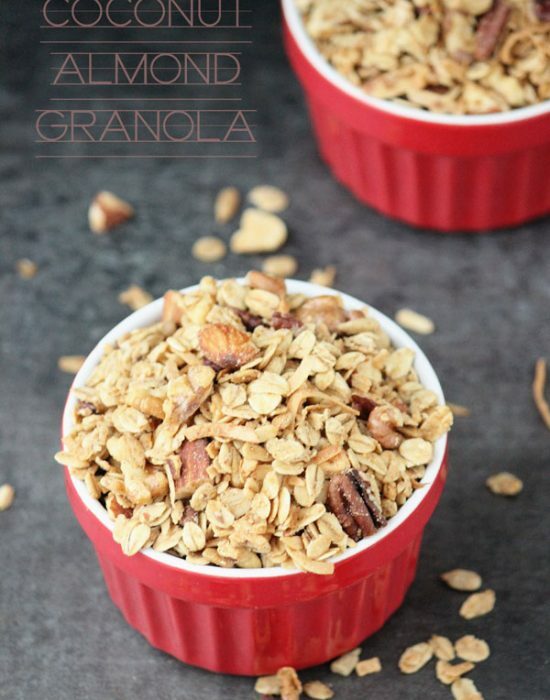 I love that these are baked and that you’ve provided a gluten-free option! Zainab, these donuts surely color my Monday. The texture, the color…I can’t wait to make a big batch of these babies. Sorry about the snow but Spring is coming so hooray to that! These are just so pretty! I’m so glad our snow is melting, but I’m not convinced that this is the end of winter yet! It is the end…it has to be!! Yikes, sorry you got more snow. Hope these donuts helped to brighten up your day 🙂 They are so pretty and cute! Love that it’s carrot cake and all those pastels! BOO to getting snow!! But I’m glad you’re keeping the spring spirit alive with these donuts. 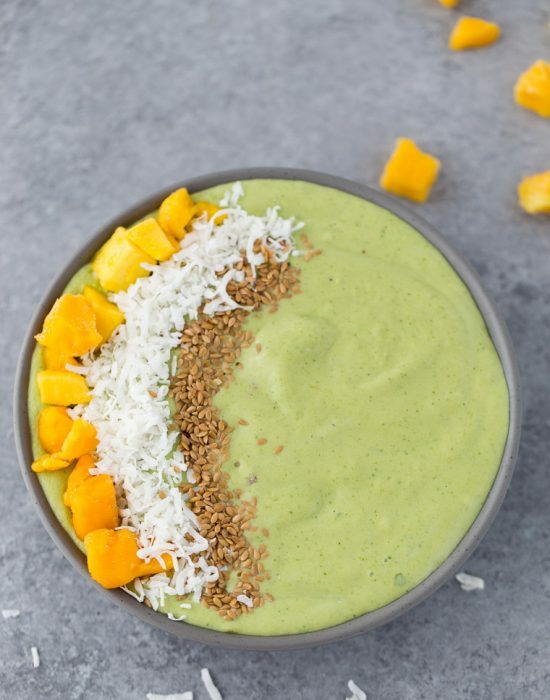 Even if it doesn’t FEEL like spring, we should totally eat like it is. That’s my motto. Ohhhhh nooooo! You got snow?!?! Ugh, I would be indulging on all things sweet and pastel(ly) too! These donuts look amazing! They already love you forever!! These are so pretty and spring-y! Carrot cake reminds me of spring because of the rabbit association haha 🙂 Love these! Love these pictures and the pretty pastel colors! Yes yes yes to the pastel and spring flavors! Down with winter! I’m not a big carrot cake girl, but even I cannot resist a gorgeous donut! I would totally plow through the whole batch without realizing they were carrot cake, ha! Love these so much and the colors are beautiful! hahah the pretty colors is everything!! 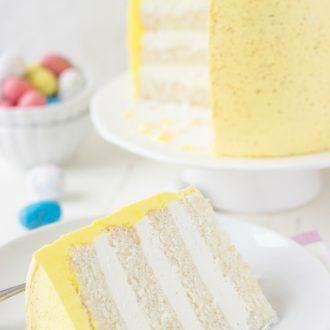 So love that these are gluten free – and wow – the colors make them an Easter must! They look soooo cute! Now, one of the things I heard that i’t THE trickiest to make gluten free is donuts! So I am glad that your recipe worked so well. did you know I never made donuts in my entire life???? Really? 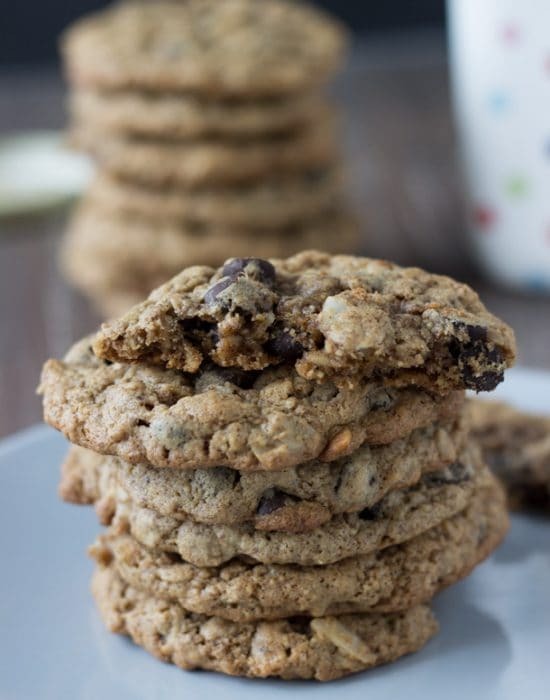 These were made easy by the gluten-free all purpose flour from Bob’s Red Mill. I am not a skilled gluten free baker so I rely on their products to help me. Also, YOU NEED TO MAKE DONUTS! These are so far from ordinary. 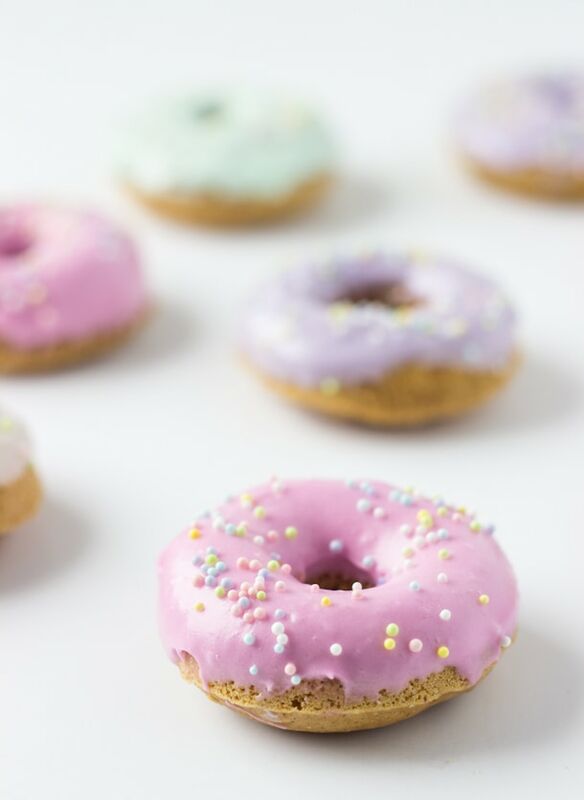 I don’t care if I’ve never made donuts before or that it’s past Easter, I’m getting right to making these… wooow!